1. 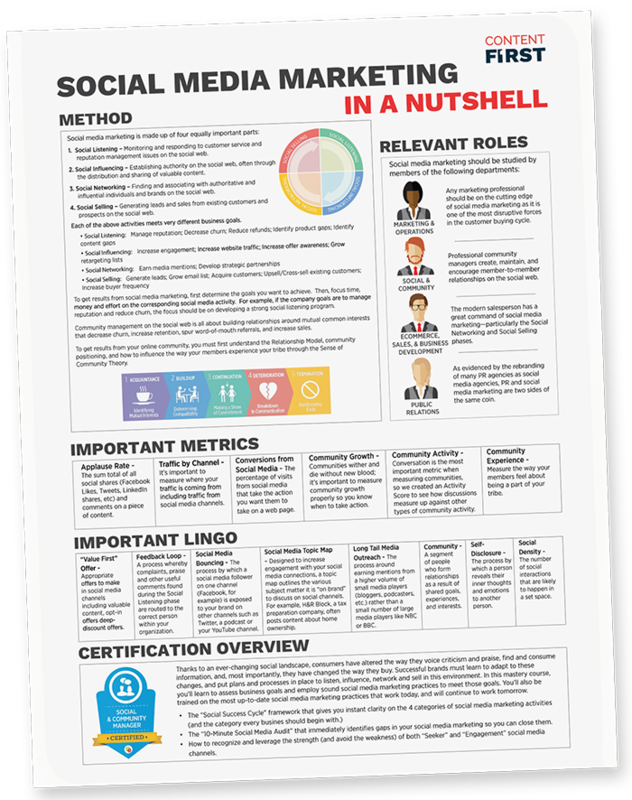 Social Listening – Monitoring and responding to customer service and reputation management issues on the social web. 2. Social Influencing – Establishing authority on the social web, often through the distribution and sharing of valuable content. 3. Social Networking – Finding and associating with authoritative and influential individuals and brands on the social web. 4. Social Selling – Generating leads and sales from existing customers and prospects on the social web.